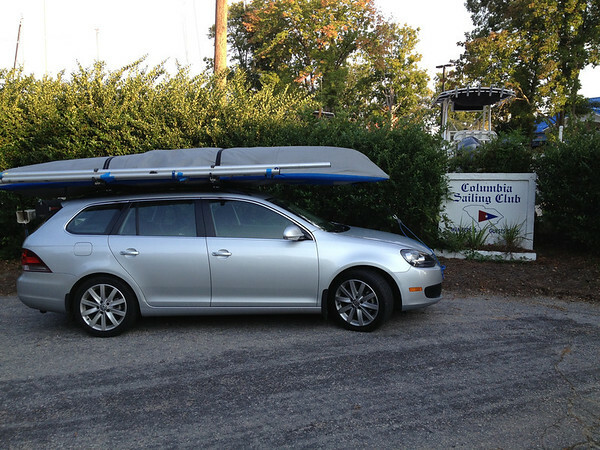 The trip to Columbia South Carolina for the Laser District 12 Grand Prix Regatta & South Carolina State Championship at Columbia Sailing Club was a smooth one. I hit only a little rush hour traffic on the way in to town, set up my tent at the club and went out to a nearby Italian restaurant for a nice dinner. This will be my 3rd weekend in a row of Laser racing and I’m just hoping we have some wind. Here’s my recap from last year at this regatta. 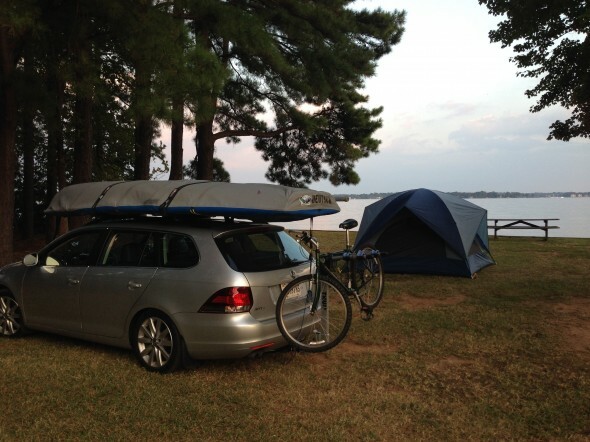 This evening I arrived at Lake Norman Yacht Club for the 2013 Board Bash Regatta. This is a regatta for ‘board’ boats such as Lasers, Sunfish and Optis and it looks as if 80 total boats are signed up with the biggest fleet being the Sunfish with 19 and 16 Lasers in the fleet I’ll be sailing in. I’ve never been to LNYC, but heard a lot about it from FBYC Flying Scot sailors and wanted to give it a try. I’ve also wanted to do more events on the Laser District 12 Series and this will be the first of 2 events I’ll be at this year. 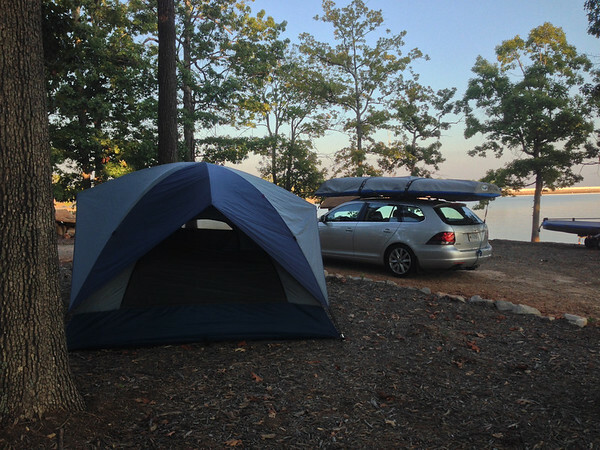 After setting up the tent in a primo spot on the point, I got the boat off the car and finished up my daggerboard project. The club has a lot of property and I smartly brought my bike to get myself from one end of the property to the other. All we need for tomorrow is for the rain to hold off and the wind to give us something to sail with. This afternoon I arrived in Wickford, Rhode Island for the Wickford Regatta that’s also going to be the Laser District 7 Championship. I found the club and the beach across town where we are sailing out of and unloaded the boat and got to go for a practice sail in a dying breeze. In the evening I hung out at the club meeting some of the other members, sailors and volunteers and met the couple that is hosting me. This is my first time sailing anywhere on Narragansett Bay let alone anywhere in Rhode Island and I’m looking forward to a great Laser fleet and good racing conditions tomorrow! 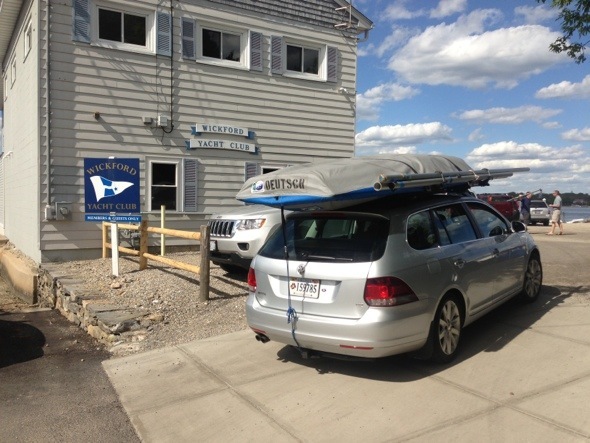 Arrived at the Columbia Sailing Club this evening and ready to sail the District 12 Championship tomorrow! I’ve arrived in Toronto ready to sail the Laser Canadian Nationals tomorrow. 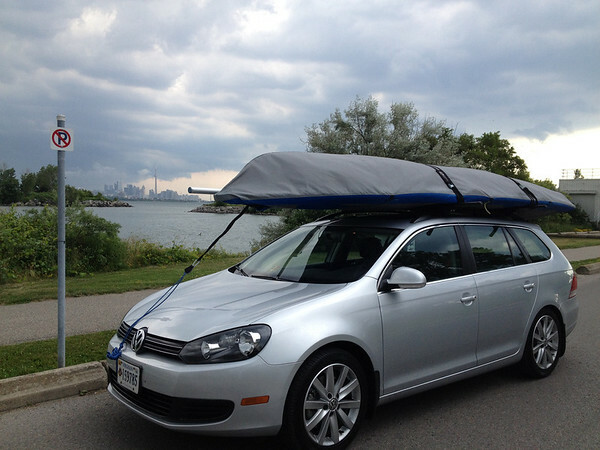 Here’s a shot of the car/boat in front of the CN Tower downtown as I arrived at Etobicoke Yacht Club. 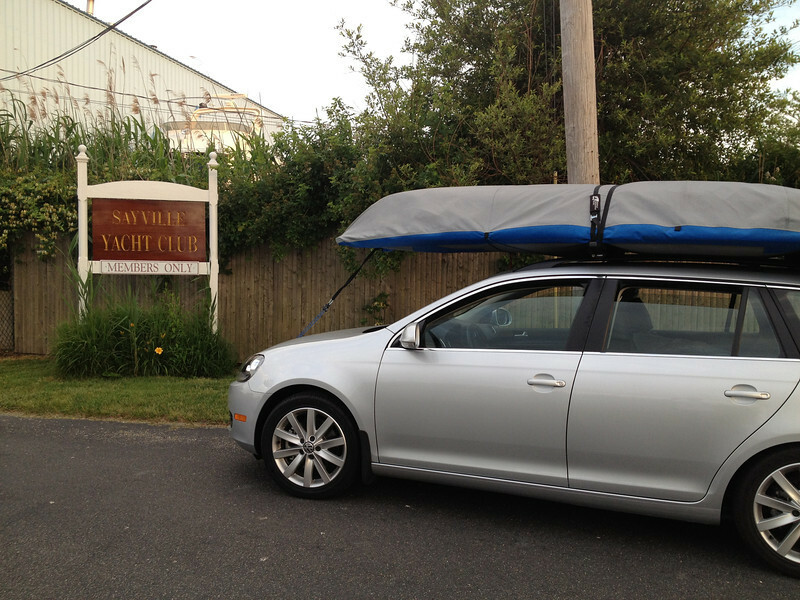 After driving all afternoon and sitting in evening NYC traffic I arrived at Sayville Yacht Club on Long Island for the 2012 District 8 Championship. They hosted this same regatta last year which I attended and finished 3rd. Sayville’s got a great club with a nice beach by the water and a great sailing area and they do a great job with their regattas. 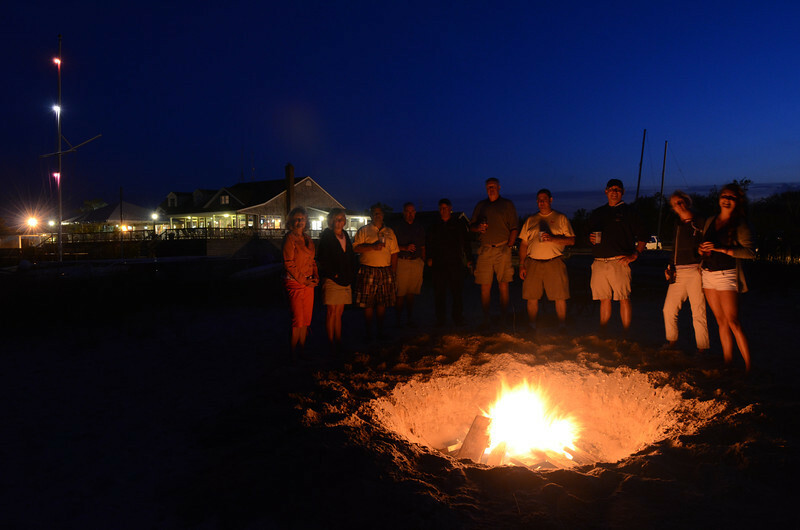 After I got to the club this evening, Ted Cremer and I went out on the water to snap a few photos of the sunset and then we hung around a fire on the beach. Racing starts tomorrow with 20 boats expected and 5-10 knots of breeze out of the west with a slight chance of rain. 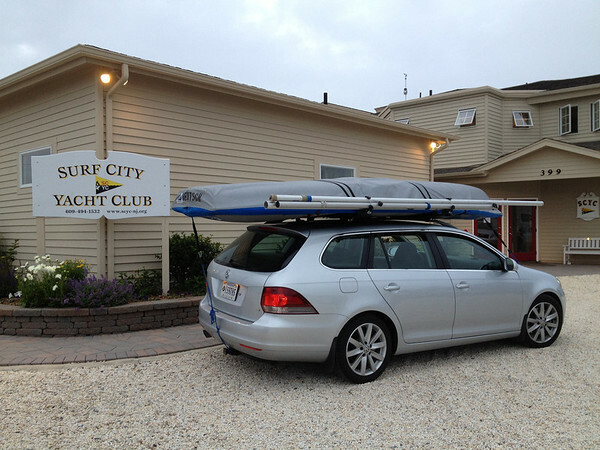 This afternoon I made the trip to Surf City New Jersey to sail the 41st Orange Coffee Pot Regatta. This is the oldest Laser regatta and has been on my list to do for some time. This year the event is also the US Sailing Singlehanded Championship Area C Elimination. Looks like we’ve got a great forecast for wind tomorrow and up to 7 races planned. The competition ranges from reigning North American Champion to first-time Laser regatta with a ~35 boat fleet expected. Should be fun racing tomorrow and thanks to Newt Wattis and his wife for putting me up for the night.